Nanoline Laser's Husky structured light laser is a high-power line generator developed for the most demanding industrial applications. It is available with a wide selection of output powers and fan angles and generates a uniform intensity distribution using patented line generating optics. In addition, the laser has high beam pointing and focusing stabilities. The Husky has fully protected electronics as well as a bipolar thermoelectric cooler used to keep the laser diode at a constant temperature. The laser beam can be modulated by an external signal and all models can operate in either CW or external modulation mode. The standard unit provides voltage outputs proportional to the beam power, laser diode current and laser diode temperature, for external monitoring. Optionally, the LCD located on the back panel can monitor these parameters. 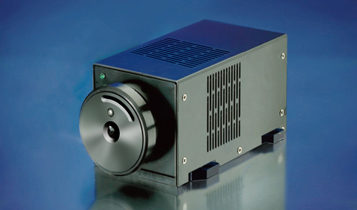 All units have a built-in time-lapse counter that enables the user to monitor the laser diode lifetime.